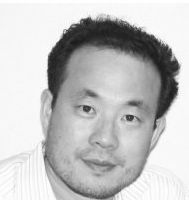 Wansoo Im specializes in developing decision support systems using a public participatory approach to Geographic Information Systems (GIS). He has pioneered the use of interactive, web/mobile-based GIS to support community-based participation and research on a wide range of social and environmental issues. He teaches interactive mapping skills to teachers, high school and college students, and members of community organizations across the country. Dr. Im consults with non-profit and governmental agencies about creating and using location-based databases to address community issues. He has been invited as a keynote speaker for various health and GIS conferences. Dr. Im earned his PhD in Urban Planning from Rutgers University in 2001, a Masters in Urban and Regional Planning from the University of North Carolina, Chapel Hill in 1990, and his BS in Urban Planning in 1988. He has an in-depth knowledge about building support systems for transportation decision-making, and modeling watershed resources. Dr. Im is most proud of his web portal, http://www.imrivers.org, which is currently being used by multiple environmental organizations across the United States. His community participatory mapping project of operating gas stations in the wake of Hurricane Sandy got media attention including NBC-NYC, Huffington Post, and other federal governmental agencies in 2012. His work on community participatory internet mapping was featured in The New Yorker magazineas well as Urban Regional Information System Association’s News in 2006. (http://www.newyorker.com/archive/2006/03/27/060327ta_talk_seabrook) and The New York Times in 2008.